Any questions, further information or to book an Eventure, please contact Jason Amato. 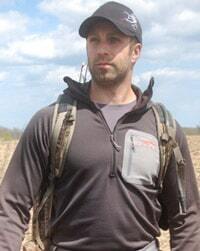 Jason currently serves as President and CEO of Takedown Outdoors. His passion for the outdoors and desire to inspire others are evident in everything he does. A true visionary, Jason loves helping others see and strategize ways to maximize personal and business growth potential. Previous experience includes sole owner and CEO of a real estate investment company, corporate sales and leadership development coach.